Nikolai de Montez, an international lawyer, has just discovered he's the estranged heir to the throne of Alp de Montez. To rightfully rule, he must marry Rose! 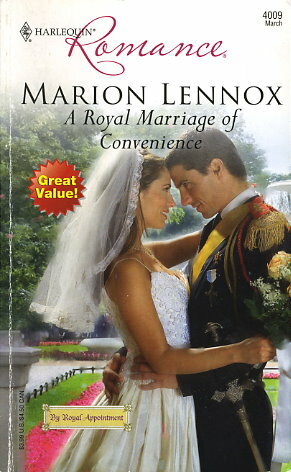 Rose McCray is an ordinary country vet, but her royal bloodline makes her Nik's bride of choice-- and Rose knows it's her duty to accept. The wedding ceremony is sumptuous, but when the formalities are over it's time for the prince and princess of Alp de Montez to get to know one another as man and wife!